The Digital Dialects website features free to use online games for learning languages. Language resources include games for learning phrases, numbers, useful words, spelling, verb conjugation and alphabets. 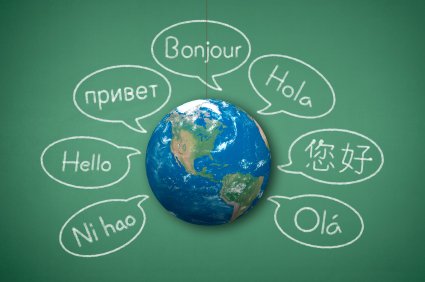 The e-language school offers a huge repository of foreign language learning materials. Users can chopoe from ten different languages, including Russian, Portuguese, Korean, Dutch and Spanish. Vocabulary lists, videos, audio files and links to other language resources supplement the text-bases lessons and tutorials. FSI Language is a community site that distributes the Foreign Service language program documentation and audio-tapes created and used by the Foreign Service Institute, a U.S. Government training institution. The courses offered by FSI feature extensive text and audio materials. Users can choose from 31 different foreign languages, including Arabic, Finnish, Hebrew, Hindi, Swahili, Thai and many others. A wonderful online guide for anyone learning German. This online forum allows you to have a more personalized learning experience. You can use it either as a free learner or pay a subscription, the difference is as a free user you will be limited to time learning each day and ads will appear. However there's still an option to learn from music with the vocabulary that you're learning! Learn the Ojibway language the easy way by listening to the spoken word. Finally, you can listen to common words and phrases helping you to speak Ojibway with proper pronunciation. Also, learn about the Ojibway people, famous Ojibways, Treaties and more! Listen to important phrases like greetings, numbers, weather, family relations and more. Mango is an online language learning system teaching practical conversation skills for a variety of popular languages, such as French, Spanish, Japanese, Portuguese and much more. Mango also has English as a Second Language courses. *Requires valid library card to use. The Massachusetts Institute of Technology offers more than 100 free foreign language courses through the university's OpenCoureWare program. Offerings range from undergraduate to graduate level and include everything from Japanese and Chinese to German and Spanish. Courses consist mainly of PDF files, but are sometimes supplemented with audio, video and slide presentations. An online guide to help anyone learn Hindi. The U.S. Institute of Languages offers a custom Spanish language course that has been used by individuals in more than 130 countries. The course uses a unique teaching method to help users build a larger vocabulary faster. Interactive lessons are meant for Spanish language beginners and focus on grammar, conjugation and word order. This website has a variety of resources for people wishing to learn online. These resources even include the Ultimate Guide to Online Education, this guide goes over every detail you should consider when thinking about learning - or even teaching - onilne. Additionally they have a TESOL (Teachers of English to Speakers of Other Languages) ceritficate and diploma course to adequately train and prepare aspiring teachers who want to teach English and travel the world! A fantastic collection of Ted Talks piquing the interest of language lovers everywhere. The International Journal of Language Studies publishes papers which report the findings of original research on the current trends and topics in applied linguistics, linguistics, and language research. It also invites 'state-of-the-art' as well as 'review' papers which critically reflect on current practices in these fields.